Designed for school counseling course work and as a reference for school district personnel, this text demystifies the roles and responsibilities of the school counselor and teaches students and practitioners how to perform, conduct, follow through, and carry out various roles and responsibilities required on the job. 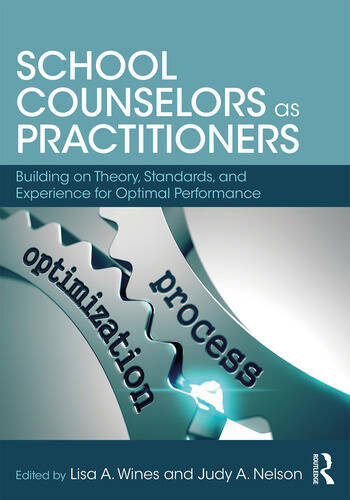 School Counselors as Practitioners conveys strategic, step-by-step processes and best practice recommendations, with emphasis on ethical and multicultural considerations. The 14 chapters in this textbook maintain, and are consistent with, the basis of school counselors’ work in the school counseling core curriculum, responsive services, individual planning, and system support, and special attention is paid to ASCA and CACREP standards. A companion website provides students with templates and handouts for on-the-job responsibilities, as well as quiz questions for every chapter. Lisa A. Wines, PhD, LPC, CSC, is an assistant professor and administrator to Program Oversight and Outcomes in the Department of Counseling and Special Populations at Lamar University. She holds a license as a professional counselor and a certification in school counseling in Texas. She has a private practice in the Houston-Memorial area and holds memberships to Texas Counseling Association and American Counseling Association. Judy A. Nelson, PhD, CSC, LPC, is a retired associate professor from Sam Houston State University with over 30 years of experience in the field of counseling. She is a licensed professional counselor in Arizona and practiced as a marriage and family therapist and certified school counselor in Texas. Dr. Nelson was the president of the Texas Counseling Association from 2009 to 2010. Currently she conducts program evaluations, presents workshops, and offers trainings on a variety of topics.